In the modern world, the most relevant and disputed issues are the environmental problems and many institutions came up with different approaches to overcome the natural imbalance. For that matter, Carbon Footprint and Carbon Offsetting have become relevant, especially for the understanding of gaseous emissions that led to the climate change. In the modern world, the most relevant and disputed issues are the environmental problems and many institutions came up with different approaches to overcome the natural imbalance. Man-made climate change, or global warming, is caused by the release of certain types of gas into the atmosphere. The emissions of carbon resulted very serious consequences for humans and their environment. 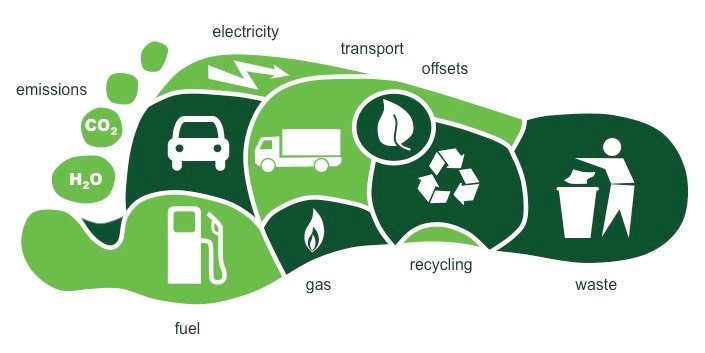 For that matter, Carbon Footprint and Carbon Offsetting have become relevant, especially for the understanding of gaseous emissions that led to the climate change. 1. Organisational: Emissions from all the activities across the organisation such as energy use, industrial processes and company vehicles. 2. Product: Emissions over the whole life of a product or service, from the extraction of raw material and manufacturing rights through to its use and final reuse, recycling or disposal. So the release of each of the above gasses would be counted in the Carbon Footprint. 1. By replacing a regular light bulb with a compact fluorescent lamp (CFL) which can save 150 pounds of carbon dioxide each year. 2. Use of public transport and carpool: We can reduce carbon emissions through walking, ridding bike, carpool and using public transport. 3. We can reduce carbon emissions by using recycled products and recycling materials. 4. Planting a tree is always a good idea. A single tree can absorb one ton of carbon dioxide over its lifetime. 5. By using certified energy efficient appliances and equipment will also reduce carbon footprint. 6. Encourage and support greenhouse-reducing practices in our community. Carbon Offsetting can be defined as the mitigation of carbon footprints through the development of alternative projects such as solar, wind, tidal energy or reforestation. The emission of greenhouse gasses is a global problem and carbon offsets work on the idea that any reduction in any area is worthwhile. It basically measures how much carbon dioxide (CO2) we have produced just by going about our daily lives. Previous Story What is the difference between Uniform and Non-Uniform Motion?